Small main boards & CT chassis systems manufactured from 1.6mm zinc coated steel or 316 stainless steel made suitable for mounting of various transformers. This entry was posted in Metering, Product, Residential Commercial, Steel Enclosures, Switchboard Building and tagged Australian Made, chassis, Color 7032, ct, Metering, stainless, steel, transformers, zinc on September 9, 2016 by Rhys Gosper. A switchboard solution designed to provide a modular solution for domestic commercial applications up to 630 Amps, compliant to the latest AS/NZS 61439. This entry was posted in Commercial Metering, Group Metering, Metering, Power Distribution Residential Commercial, Product, Residential Commercial, Residential Metering, Switchboard Building and tagged 3G, 630Amps, AS/NZS 61439, commercial, infinity, Metering on March 24, 2016 by Rhys Gosper. The Monarch IP is a multiple application enclosure and switchboard building system suitable for a variety of applications. This entry was posted in Industrial, Motor Control, Multiple Application Enclosure, Power Distribution Industrial, Process Automation & Control, Product, Switchboard Building on March 28, 2015 by Simon. This entry was posted in 19 inch, Data ICT, Industrial, Motor Control, Multiple Application Enclosure, Power Distribution Industrial, Process Automation & Control, Product, Steel Enclosures, Switchboard Building on February 8, 2015 by Simon. An IP66, small main board (up to 630A) developed as a solution to local electricity and distribution requirements in remote metering application or emergency power restorations. This entry was posted in 1, 2, 3, 4, 7, Industrial, Metering, Power Distribution Industrial, Power Distribution Residential Commercial, Product, Special Purpose, Stainless Steel Enclosures, Steel Enclosures, Switchboard Building and tagged 4, 6, Australian Made, Color 316SS, Color 7032, IP66 on January 31, 2015 by Simon. 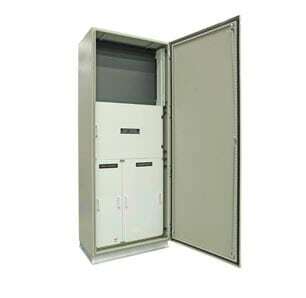 A modular universal distribution board that is weatherproof and highly robust. Ideal for new or existing distribution boards and a great alternative for power distribution. This entry was posted in Industrial, Junction & Marshalling, Multiple Application Enclosure, Power Distribution Industrial, Power Distribution Residential Commercial, Product, Special Purpose, Stainless Steel Enclosures, Steel Enclosures, Switchboard Building and tagged Australian Made, Color 316SS, Color 7032, IP66 on January 28, 2015 by Simon. An IP43/IP55, type-tested, certified, switchboard building system for low Voltage switchboards and motor control centres (MCC’s). This entry was posted in Industrial, Motor Control, Process Automation & Control, Product, Special Purpose, Steel Enclosures, Switchboard Building and tagged Australian Made, Color X15, IP43, IP55 on January 26, 2015 by Simon.